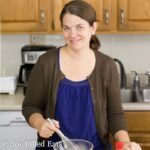 Another delicious low carb, keto, gluten and grain free, Trim Healthy Mama friendly casserole has arrived. 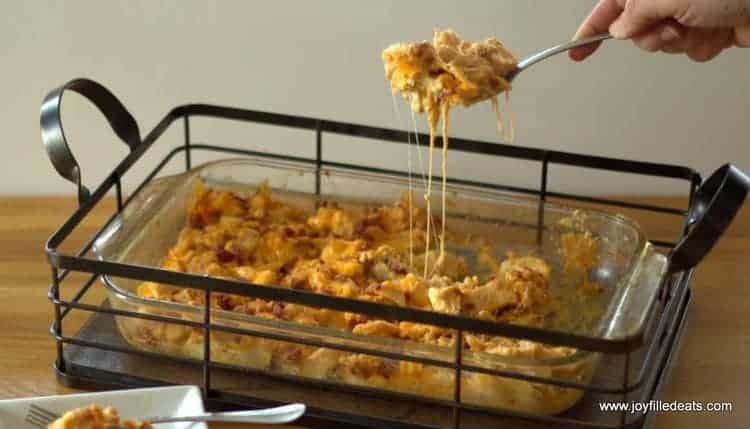 This BBQ Chicken Casserole with Bacon has the smoky flavor of barbecue, bacon, and cheddar. My children have become such big fans of my casseroles that I had to make another one for them. 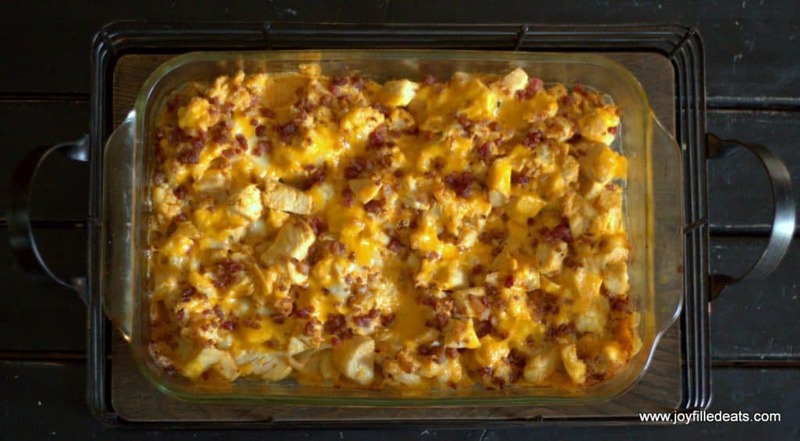 I decided to put the flavors of barbecue in this BBQ Chicken Casserole with Bacon. I decided to not to actually use BBQ sauce because it is difficult to find a sugar free sauce and I didn’t have time to make one. The combination of spices and herbs is what gives this casserole it’s flavor. The smoked paprika is the secret. It gives it a smokey flavor and really makes you think of the yumminess of barbecue season. If this is your first visit to Joy Filled Eats you should take a peek at my casserole collection. They are all low carb, gluten free, keto, and THM S.
This looks like a lot of ingredients but most of them are spices. Feel free to substitute your favorite BBQ rub to taste instead of my spice combination. 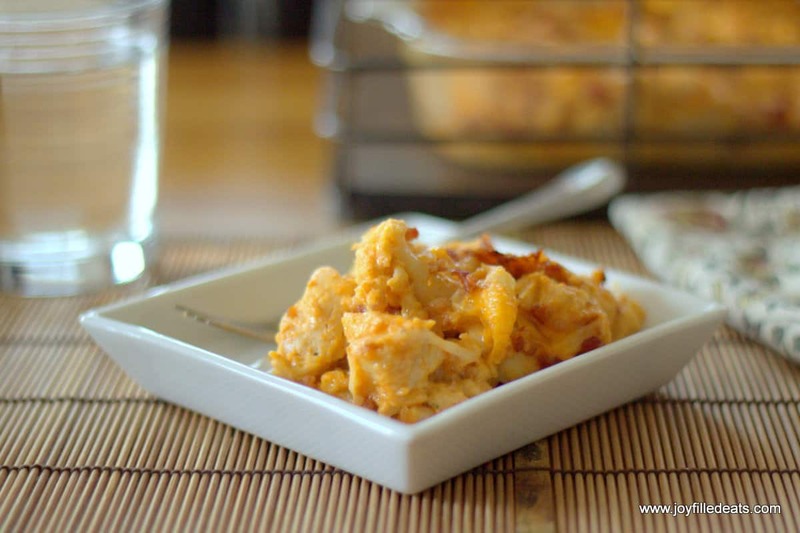 Another delicious low carb, keto, gluten and grain free, Trim Healthy Mama friendly casserole has arrived. This has the smoky flavor of barbecue, bacon, and cheddar. 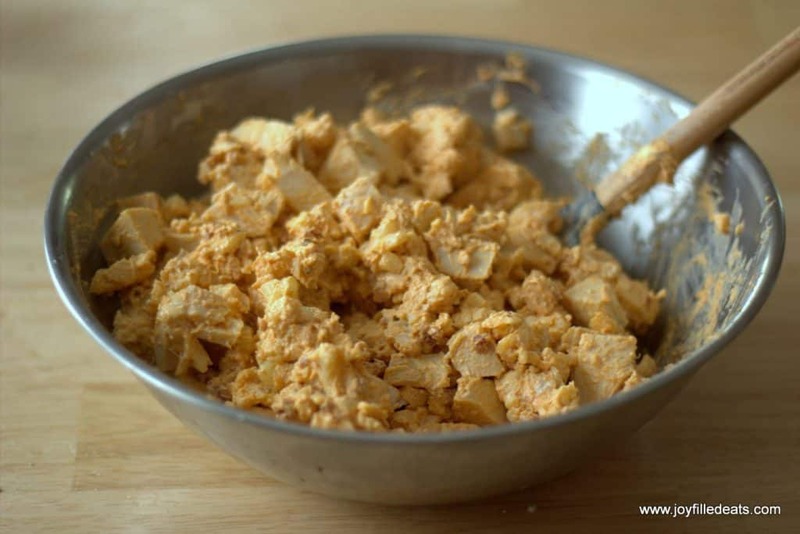 Combine cream cheese, mayo, sour cream, and all the spices. Mix well. 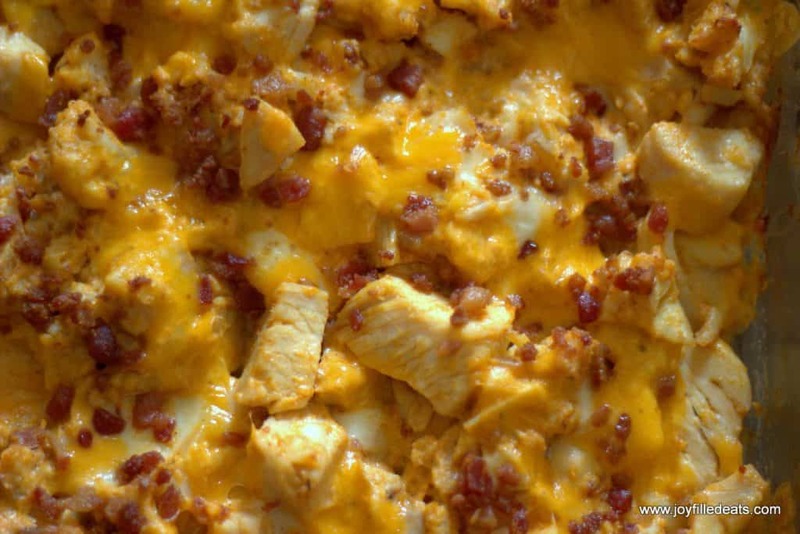 Fold in chicken, cauliflower, 3/4 of the cheese, and 1/2 of the bacon. Put in a casserole dish. Sprinkle on the remaining cheese and bacon. Bake at 350 for 35-40 min until bubbly and hot. Made it! This is great! Such good flavors. More like a bbq chip flavor than bbq sauce. 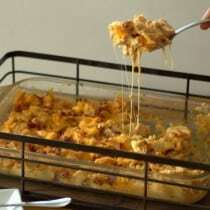 Nice change from other casseroles. I used 20 oz cauli rice instead of florets and I topped it w crushed pork skins mixed w 1 Tbl melted butter before putting it in the oven for some crunch. So yum! Will make again. This has a lot of carbs in it, is there something else you could sub sour cream with, it has alot of carbs and sugar in it. Thank you, made this and it was absoulutely delicious!! I just reran the numbers in MFP because they were looking high to me too. I'm not sure where the original error was but the carbs came down quite a bit. I don't think you need to sub the sour cream. But if you wanted to you could use additional mayo instead. Is there something I could substitute the cauliflower for? Sure, any other vegetable you enjoy. Or just leave it out and have this with a side salad. Hi Nikki, I have not frozen this casserole but I have frozen my bacon chicken Caesar Casserole, which is similar, successfully. I baked it first and then divided in lunch size portions. To reheat I just microwaved it. I just added a nutrition chart to this post. This sounds wonderful! Can Greek yogurt sub in for the mayo if I already have that? Hmmm... that's a hard one. The fat content of both is very different. I think it would work but it might be better to just get mayo. Lmk if you try it.